Jojo’s Bizarre Adventure is a manga series that came out in Japan in 1987. The series talks about the story of the Joestar family, where various members discover they possess powers that they can use to take down supernatural enemies. The family members with powers all have a name that starts with Jo. Thus it forms the word JoJo when combined with the Joestar family name. The series came into eight parts with each part telling the story of a member of the Joestar family and the adventures they went through. The first 6 parts of the series are all connected, while part 7 and 8 are taking place in an alternate reality. Though different characters were featured throughout the series, one of the most well-known among them is Joseph Joestar, the second member of the Joestar family to be named JoJo. He is also the second most recurring character in Jojo’s Bizarre Adventure series, next only to his grandson Jotaro Kujo. Though these two are the main characters, they are not the only popular ones. 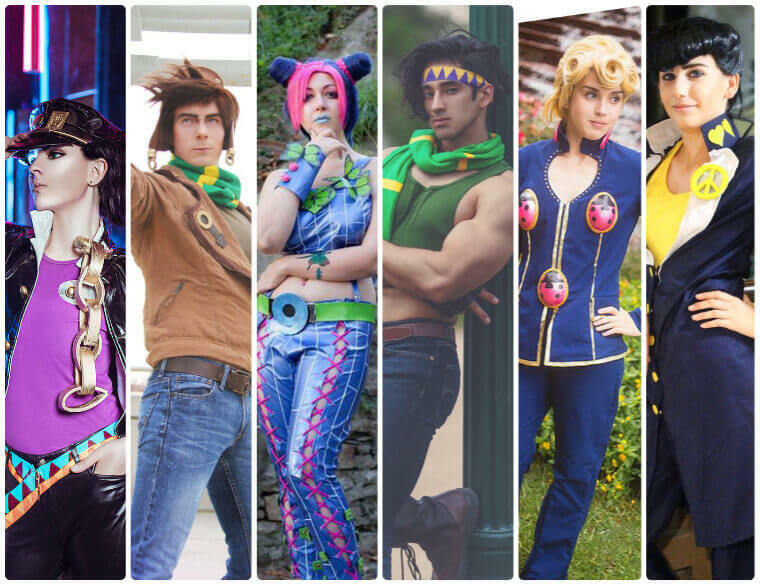 This article will be Jojo’s Bizarre Adventure cosplay guide, featuring the different favorite characters of the series as listed. Jotaro Kujo is the primary role of the Stardust Crusader arc of the series. 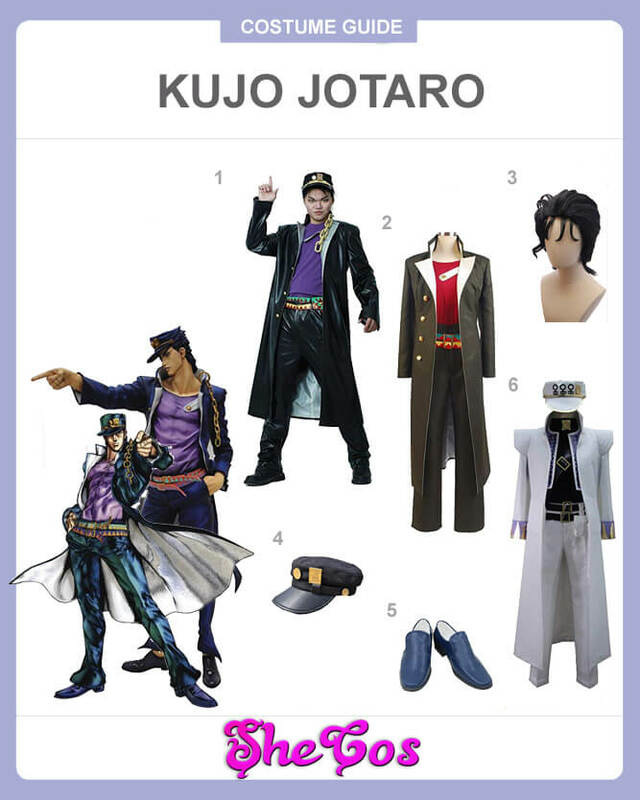 For this Jotaro cosplay set, it will come with three outfits. The first one is a purple sleeveless shirt with mid-calf length black coat with standing collar and chains, and black pants. The costume contains the visor ornamented cap. The other suit is the one he wore during the OVA of the arc. It’s the same outfit but in different colors. The dark green coat and pants replace the black ones, and the sleeveless shirt is now colored red. The last outfit is the one he wore during the Diamond is Unbreakable arc. It’s the same outfit, except that the coat, pants, and cap are now colored white. Underneath is a black collared shirt with a buckled strap that runs diagonally across the chest. The set also comes with black leather shoes and a short black wig. Jotaro Kujo is the grandson of Joseph Joestar and the third member in the family to receive the JoJo nickname. He is the most recurring character in JoJo’s Bizarre Adventure. He is also the first member of the Joestar family to be introduced with the supernatural power called the Stand. It is viewed as the user’s fighting spirit in its physical form. It possesses superhuman abilities used for both good and evil. Since Jotaro is one of the most well-known characters in the series, that is why he is the next character that people would usually choose to dress up as when cosplaying JoJo’s Bizarre Adventure characters. Now dressing up as Jotaro can be tricky since he wore several different outfits. 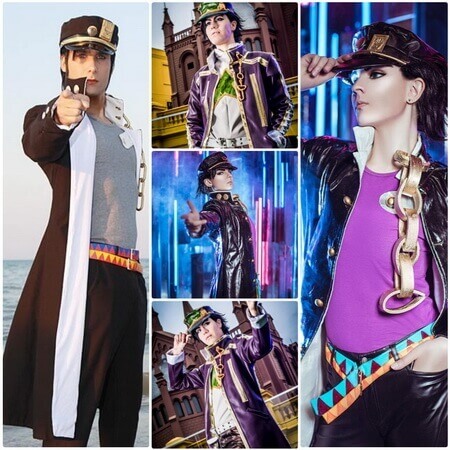 Looking at the Jotaro cosplay photos, you can see that you will never go wrong whichever appearance you choose. Joseph Joestar is the main character in one arc of Jojo’s Bizarre Adventure and a recurring role throughout the series. He is the main protagonist of the Battle Tendency arc and a supporting role in the other arcs. 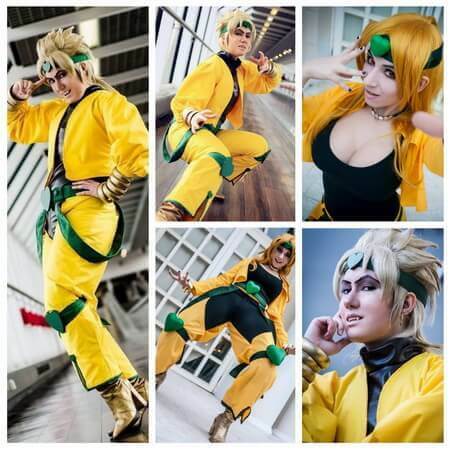 It makes him one of the most well-known characters in the series and a popular option for people when it comes to cosplaying Jojo’s Bizarre Adventure characters. 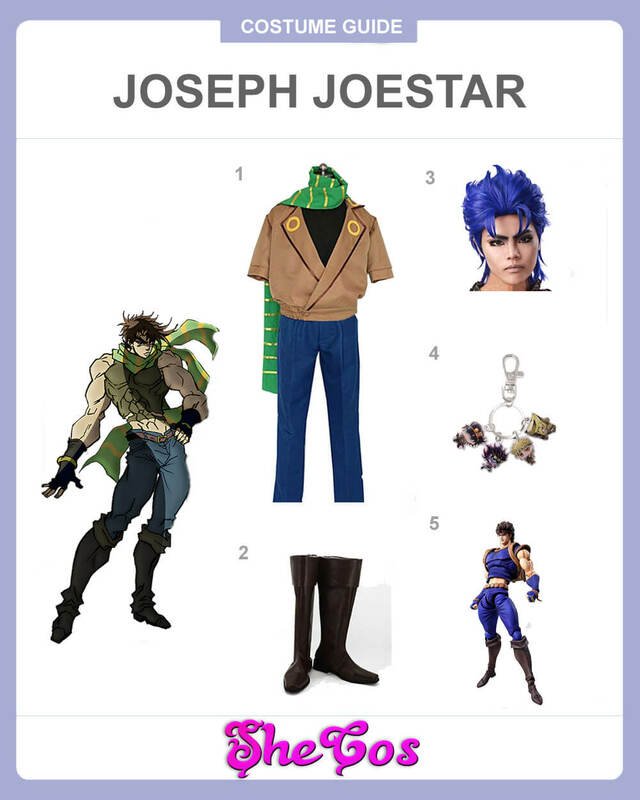 Now Joseph has worn various outfits throughout the series. 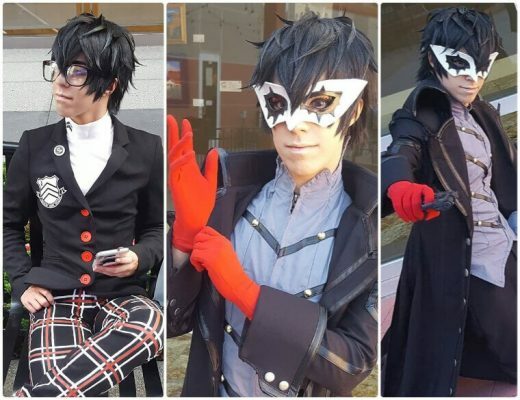 For this cosplay set, you will get one of the typical outfits that the character wore. The costume consists of a dark purple tank top that’s cut under the navel underneath a brown uniform. It also comes with fitted pants, a green scarf with yellow stripes. The costume consists of knee-length leather boots and a short messy purple wig. The Joseph Joestar cosplay set also comes with a Joseph Joestar figure and a metal keychain with characters of Jojo’s Bizarre Adventure. Joseph Joestar is one of the well-known characters in Jojo’s Bizarre Adventure. He is the second character to be called JoJo in the series, after his grandfather Jonathan Joestar. Joseph is a Ripple user, which means he can produce energy that manifests as ripples in his body. He earned his powers and abilities from his grandfather and mother Lisa. 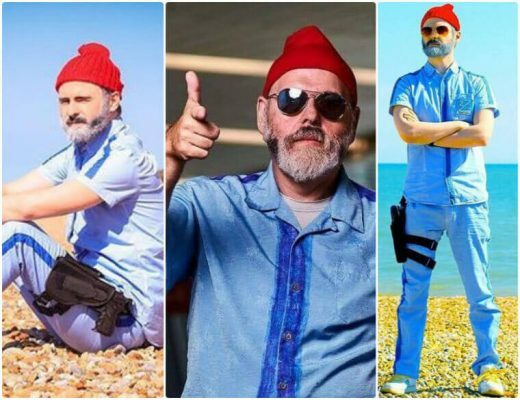 Now the character had won several outfits throughout the series, especially when he became old and a support character. But his most popular one is the one he wore during the Battle Tendency arc. 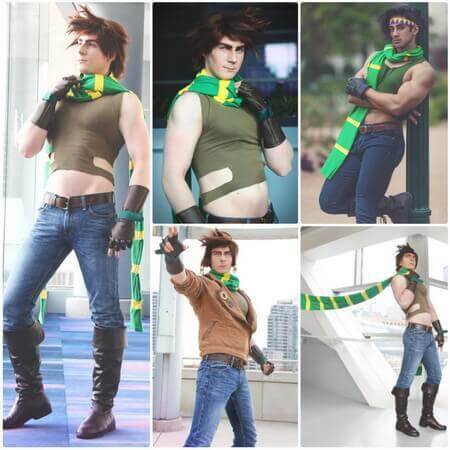 Looking at the Joseph Joestar cosplay photos, you can see that the costume allows you to wear it in two ways. One way is to wear his brown uniform, which he does when he is not fighting. If you prefer the fighting look, you need to take off the jacket and you are ready for battle. Dio Brando is the main antagonist in 2 arcs of JoJo’s Bizarre Adventure. He was the main antagonist in the Phantom Blood and the Stardust Crusader. As an antagonist, Dio is also an option to dress up in, especially for people who prefer cosplaying villains. 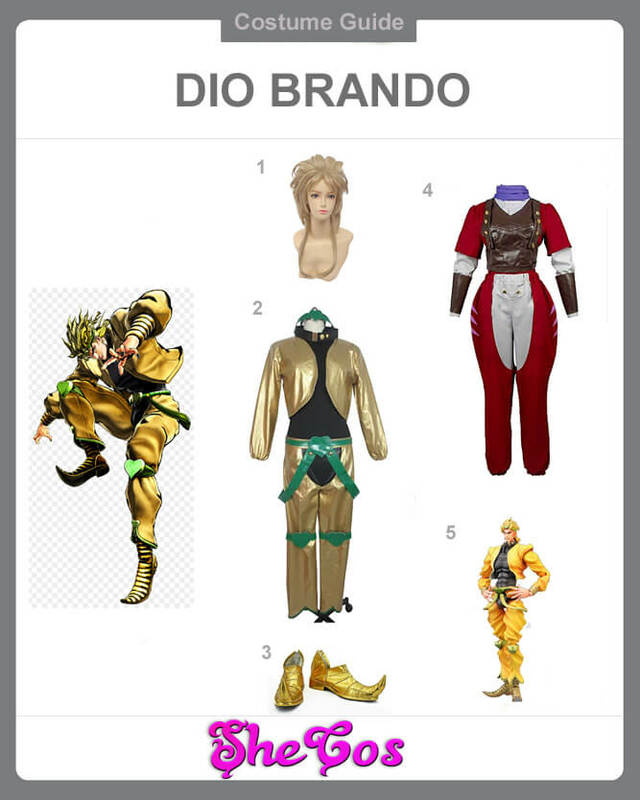 The Dio cosplay set will come with two trademark outfits that the character has worn in the arcs that he appeared. The first one is his outfit at the Stardust Crusader, which is a gold jacket with a black tank top underneath and a matching gold pants with an exposed crotch area and gold shoes. He has a green heart-shaped circlet on his head that matches the knee guards. The other outfit is the one he wore at the Phantom Blood arc, which is a red and white shirt with matching breeches and brown bracers and suspenders. The collection also comes with a short blonde wig and a Dio Brando figure wearing the gold outfit. Dio Brando is one of the main villains in the JoJo’s Bizarre Adventure series. He appeared as the main antagonist in the series’ 2 arcs, against Jonathan Joestar in Phantom Blood and Jotaro Kujo in Stardust Crusader. As a villain, Dio is ruthless, as he is very cunning an only cares about getting more power. With his combination of power, ruthlessness, and evilness, Dio is an intriguing villain to dress up as. Since Dio appeared as the main villain in 2 arcs, you will have two options when it comes to dressing up as the character. One is dressing up as Dio the vampire in his appearance during the Phantom Blood arc. The other option is the more popular choice, which is the gold outfit he wore during the Stardust Crusader arc. Looking at the Dio cosplay photos, you can see how well the gold outfit would look for both men and women to cosplay Dio Brando. Giorno Giovanna is the leading role of the Golden Wind or Vento Aueo arc of the JoJo’s Bizarre Adventure Series. He is the fifth character to inherit the name, JoJo. Giorno is also a character in the series that people can dress up in. The Giorno cosplay set will come with two outfits, which are identical in style but different in color. The costume is a two-piece bodysuit with a heart-shaped opening on the chest area and wing-shaped emblems on the collars. The suit also features three ladybug emblems with two being located at either side of the chest area and one in the middle, below the zipper of the suit. The outfit comes in two colors. One is a blue suit with gold trims, and the other is a pink suit with green trims. 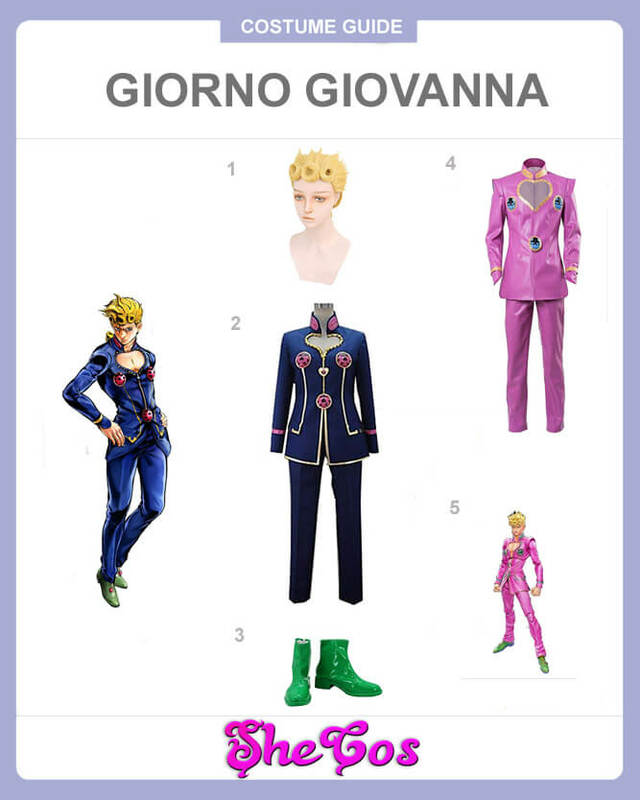 The complete guide comes with the green shoes, a short blonde wig and a Giorno Giovanna figure wearing the pink outfit. Giorno Giovanna is the main antagonist in one of the arcs of JoJo’s Bizarre Adventure. He is the illegitimate son of Dio Brando and during the time that his head was sewn into Jonathan Joestar’s body. It allows him to inherit both the traits of the first JoJo, Jonathan Joestar and the villain Dio Brando. Despite being Dio’s son, Giorno is a hero in the series. Giorno Giovanna is one of the options that people can choose to dress up in when they think of characters from JoJo’s Bizarre Adventure. Now, Giorno has only worn one style of outfit in the series with the only difference being the colors that they are in. Now, the choice of outfit color will likely depend on your preference. 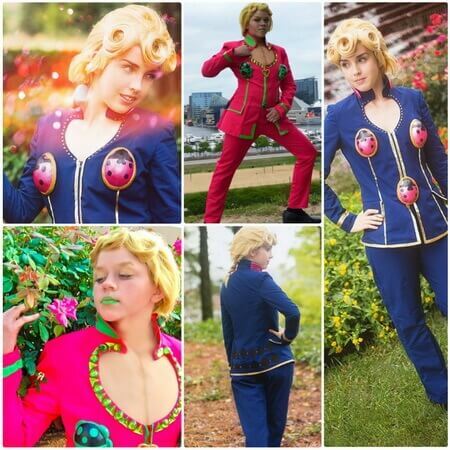 Looking at the Giorno cosplay photos, you can see that both outfits have their appeal and flair. Jolyne Kujo is the main protagonist of the Stone Ocean arc of the JoJo’s Bizarre Adventure series. She is the sixth character in the series to earn the JoJo title and is the only female character to do so. As the only female JoJo, she is the primary option for ladies who are looking to dress up as characters of this manga and anime series. The Jolyne Kujo cosplay set will come with his full costume. It would include blue pants and a blue halter top that exposes the midriff. The top also has two parts of cloth that would extend on either and attach to the pants to look like suspenders. On the top of the outfit is a long jacket that is similar to the length of Jotaro’s coat that is buttoned at the neck area to still expose the suit. 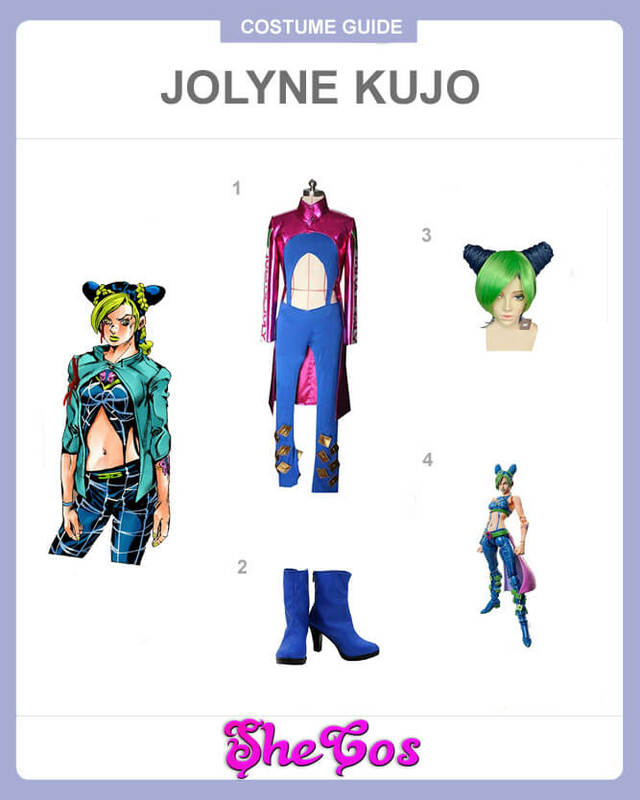 The costume consists of a long blue and green wig styled in Jolyne’s hair and blue shin-length boots. The set also comes with a Jolyne Kujo Figure. Jolyne Kujo is the sixth character in JoJo’s Bizarre Adventure to inherit the title JoJo and the first female to do so. She is the daughter of the third JoJo, Jotaro Kujo. She was able to awaken her Stand powers, the Stone Free, while she was in jail for being framed for murder. In prison, she battled Father Enrico Pucci, who is Dio’s most trusted disciple. As the only female JoJo in the series, Jolyne is the primary option for ladies when they think of dressing up as one of the series’ heroes. Unlike the other characters, Jolyne mostly wore the same outfit, with the main difference being the bottom where you can wear a mini skirt or pants. Jolyne was also seen wearing a prison jacket in one part and then a trench coat in another on top of her outfit. Looking at the Jolyne cosplay photos, you can see that either style will look great. Josuke Higashikata is a high school student and the main protagonist of the Diamond is Unbreakable arc of the JoJo’s Bizarre Adventure series. He is also the fourth character to inherit the name JoJo. He is the illegitimate son of Joseph Joestar. Josuke is another option for people to cosplay a hero in the series. The Josuke cosplay set includes his full costume, which is a dark blue modified Japanese high school uniform with a gold anchor pinned on his left collar and two gold hearts fastened on the right. His jacket is also fastened open to reveal his chest and the yellow tank top. The pins used are a gold peace sign on the right and a gold heart on the left. 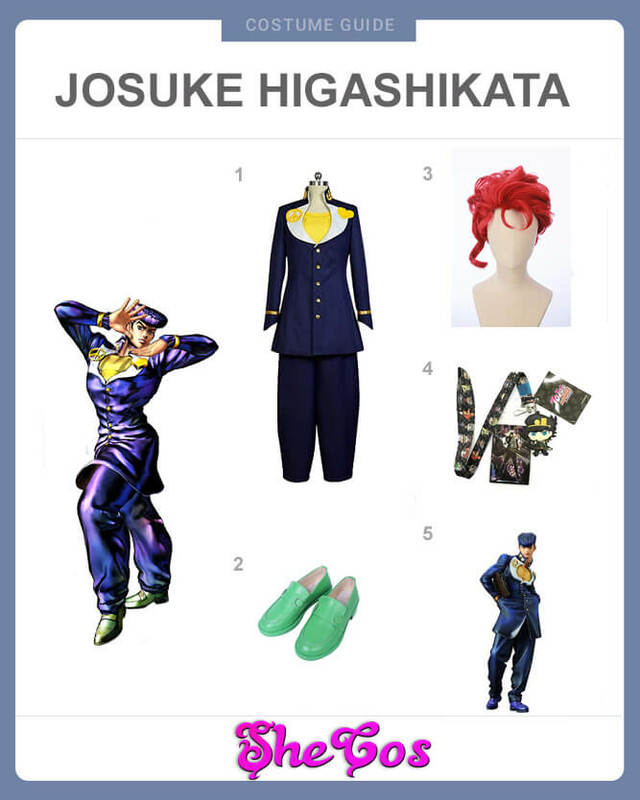 The costume consists of green shoes and a short wig for Josuke’s hairstyle. The cosplay set also comes with a Josuke Higashikata figure and a JoJo’s Bizarre Adventure group lanyard. Josuke Higashikata is a first-year student and lives in the town of Morioh when the Diamond is Unbreakable arc took place. Jotaro Kujo was the one who informed him that he is Joseph Joestar’s illegitimate son. After he killed a Stand user for murdering his grandfather, he agreed to help Jotaro to hunt the holder of the Bow and Arrow that provides people with their Stands. As the fourth JoJo in the series, Josuke is also another choice for people to dress up in. Now unlike the other JoJo’s Josuke is the only character who didn’t wear anything unusual save for the emblems he attaches to his high school uniform. 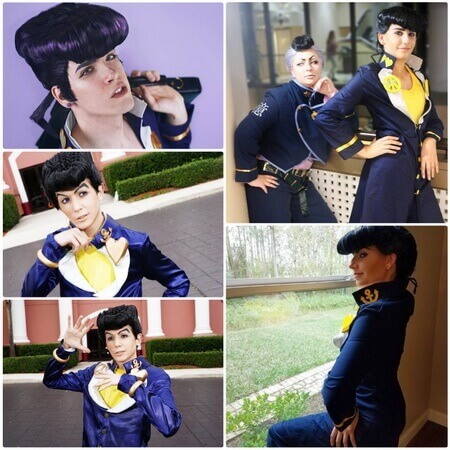 Despite only wearing a high school uniform as the character’s trademark look, you can see in the Josuke cosplay photos that it won’t hinder the wearer from looking cool.